The Lithium-Ion battery-powered BGA 100 is built with the professional landscaper in mind. 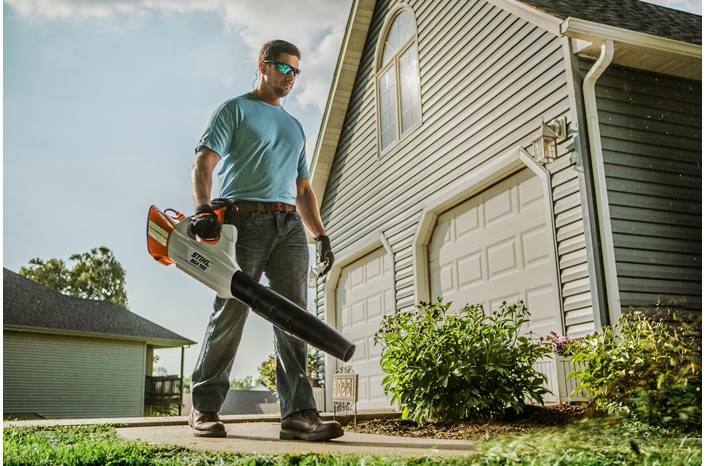 When in boost mode, the BGA 100 is the most powerful dedicated handheld blower in the STIHL range. This Lithium-Ion battery-powered blower boasts higher quality and better ergonomics than many other battery products on the market, and delivers performance superior to many gas powered models. The new BGA 100 design shifts the battery weight from the unit to the back or hip with a high-performance cable connecting system. This results in a lighter blower and reduces user fatigue. The BGA 100 features four performance levels through a variable speed throttle trigger delivering an even balance of blowing power and run time. Its rear-mounted air intake allows the blower to be used right- or left-handed. 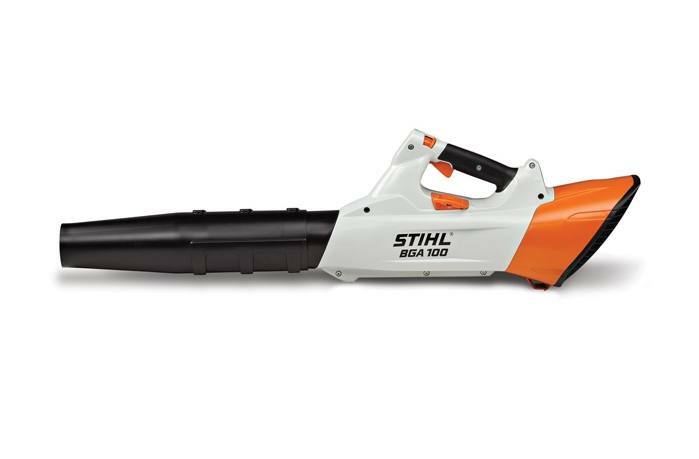 The quietest and lightest blower in the STIHL lineup, the BGA 100 allows you to clean up with ease around neighborhoods, urban areas, or other noise-sensitive zones. Note: Must be used with battery belt or AR style backpack battery sold separately.